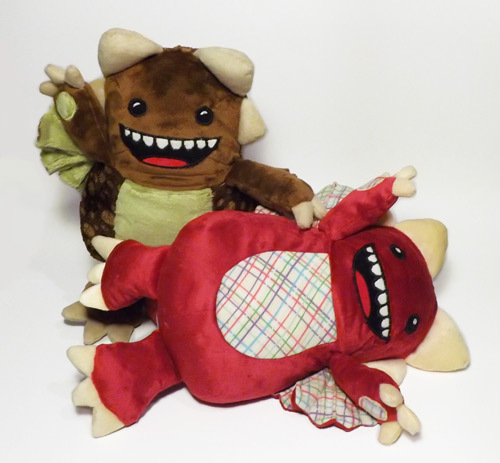 I made two new variations of the Georgie Monster, they're up for sale on etsy. I'm trying to move away from polyester materials and fabrics. After some unsatisfying experiments with cotton stuffing, I've found a stuffing made from bamboo. These are the first ones I've filled with the bamboo stuffing. It's a little different than some of the other fiber-fill polyester stuffing I've used before but I'm liking it a lot.